News is just now breaking with more information about Tiki Barber’s mistress Traci Lynn Johnson. 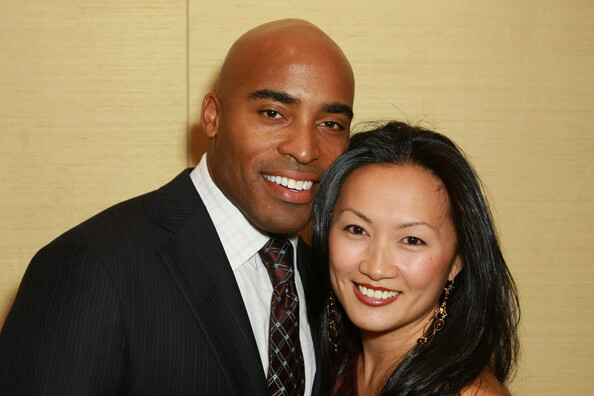 As you may know by now, Tiki Barber has left his wife (who is also pregnant) for another woman named Traci Lynn Johnson. Well the news coming out now is that Traci Lynn Johnson was actually Tiki Barber’s kids babysitter. These homerackers need to stop going after married individuals. Even though this married fools make the advance, you don't have to accept the relationship. What happened to home values. Damn, another white girl gone bad. Stick with your own kind, Tiki and Tracy!!!! u r a dumbazz mr.interacial…. Interracial or not, this woman knew he was married and expecting twins. This society is going to hell in a handbasket and quick. No morals, regret, shame or common sense. A homewrecker is a homewrecker, no matter what color they are. I wonder if her parents are proud of the values they instilled in her growing up. Can you say "golddigger"?